From the halls of Asgard and the pages of some of the greatest comic books ever written steps the mighty Thor! 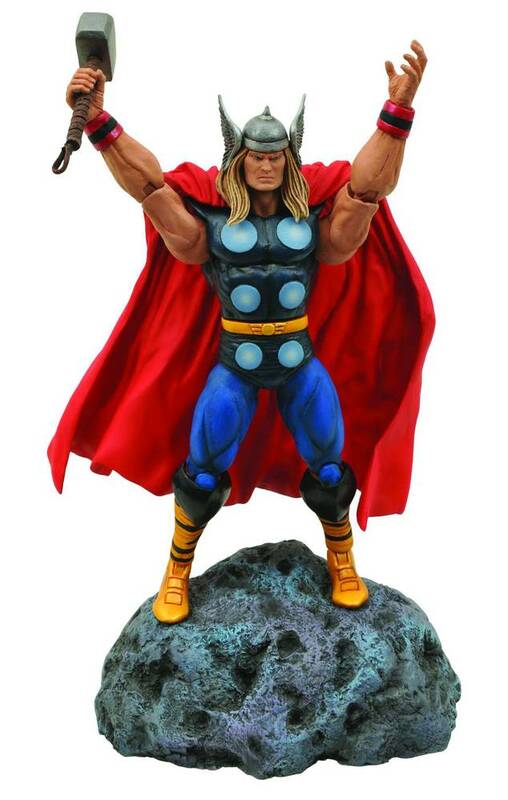 The hammer-wielding Avenger has returned to the Marvel Select line in his classic incarnation, as a fully articulated 7" action figure with 16 points of articulation! This Thor figure includes his hammer Mjolnir as well as an asteroid display base, all in the stylish Select packaging.